The AuRoRA Project - "Pekee"
Pekee robot provided by Wany Robotics, France. 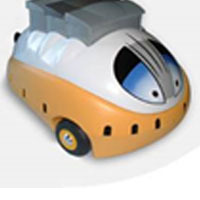 Pekee is an oval shaped with plastic casing robot with two motorized wheels, and freely rotating caster wheel. It has 15 infrared distance measurement sensors, and other optional sensors such as temperature, shock and light sensors. 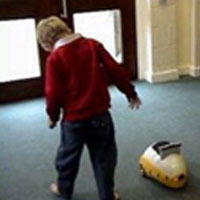 Pekee has been used primarily with typically developing children to explore basic features of child-robot interaction with a mobile robot. 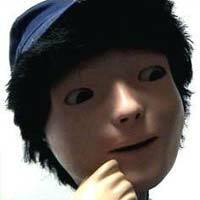 The robot was used as part of Tamie Salter’s PhD project.